Lincoln Park Dance Company works in conjunction with the Lincoln Park Recreation department so please follow the steps below to register. Attend one of our Registration/Open House events. If you cannot attend, we will fit shoes and order a uniform the day of the first class. Additionally, please register an online account. 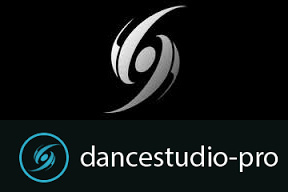 ALL Students must register an account through the LPDC online system called the Dance Studio Pro Parent Portal. Students under age 18 must have a parent register an account and then register the student. Students over 18 must register themselves as the parent and as the student. Why is it important to register with the Parent Portal? This system is what will be used to call, message or email students in case of emergencies, studio closings and important reminders. Please be sure that your email and cell numbers are current and accurate. The spelling of the dancers name in any recital programs will be taken from the Parent Portal so you are responsible for ensuring that all names are spelled correctly. If you are not ready to pay for a class yet, you can still register for the class here but you will not officially be on our class rosters until payment is made with the city. We only hold spots open for students that have paid so your spot may be lost if the class fills before you make payment. The Parent Portal is also used to verify class enrollments to ensure the correct costume is ordered for each student. The parent or adult student is responsible for ensuring that they have registered in the correct class online for this purpose. Full list of the studio class schedule. The full Dance season calendar can be found by clicking on Calendar and then Google Calendar. All recital music, class specific notes or links to practice videos if applicable can be found by clicking on Shared Files. In order to be officially placed on a class roster, the class must be paid in full or the first $45 payment of the payment plan must be made. Payment can be made online through the city link to the right or in person at 3240 Ferris, Lincoln Park MI 48146.